Aerolite is a fibreglass insulation product made in South Africa. It can save money on your heating and cooling bills by controlling the indoor temperature. It’s an effective solution to keep warm in winter and cool in summer. Getting good quality insulation installed at home can be an economical solution when it comes to reducing power consumption. 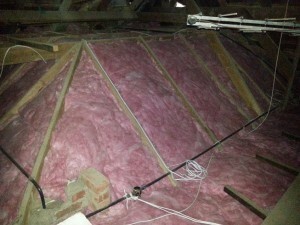 Think pink insulation is a cost-effective thermal and acoustic insulation. As a matter of fact, Aerolite is the perfect solution for temperature control indoors. In turn, saving you money. With think pink, you can stay in a comfortable indoor climate at any time of the year. The temperature outside has a direct effect on the temperature inside. If it’s winter and you don’t have insulation at all or you have poor quality insulation, you’re in trouble! Control the temperature indoors when you have quality insulation products installed. Keep your home or business indoor temperatures comfortable. Cut down your electricity bill. Keep heat and cool air locked in. Won’t need as much energy. Durable and non-combustible ceiling insulation. No maintenance of the insulation is necessary. Reduce the amount of hot or cold air that blows through your vents. Though the material is high quality, it’s very light. It’s still durable regardless of being lightweight. You can stay cool in the summer and cosy and warm in the winter. Depending on the climatic region, your home or business may need thicker insulation. Not all the thicknesses will be effective in cooler climates. Generally, with aerolite, the thicker the insulation the better. South Africa has been divided into climatic zones. Each zone has the recommended minimum to be installed for the highest efficiency. This type of insulation is reasonably safe to work with. You should always wear a dust mask while working with it. The product is made from recycled glass and silica sand. Which is then spun and dyed pink. The quality of Aerolite’s fibreglass has improved over the years. It’s much softer to the touch and it’s not as itchy. Once it has been installed, you won’t have to invest in new insulation for at least 30 years. You can also read up on isotherm as an alternative to fibreglass which is chemical and dust free. It’s also a non-allergic product for people who suffer from allergies. With this type of roof insulation, you won’t be annoyed with noise outside that can tamper with your concentration or even bother a little child that’s sleeping. Think pink insulation can dampen noise levels in your business or home environment. This will add to your indoor comfort levels. Even if your next door neighbour has the music blasting outside and lots of people over, it will dampen the sound levels. This is the best way to save on your electricity bill and significantly reduce your heating and cooling cost. You can get installers that can do any type of retrofit glasswool insulation such as with factorylite, isofoil and other reflective foils. The reason why it’s preferred by so many installers is that it won’t catch on fire no matter how bad the situation is. It can be used anywhere like roofing, ovens, furnaces and more without worrying about it catching on fire regardless of how high the temperature is in and around the property. The cost isn’t set in stone and will depend on the installer as well as other aspects. Not all installers are local so travel costs also need to be considered. The Aerolite cost and price will also vary. Some installation specialists will get a discounted price depending on how much they buy from the manufacturer. Bigger companies will get a discount price for higher volumes. The amount of space you have and also how challenging the work may be will also play a part in the installation cost. Remember to install the correct thickness for your climatic region. We install aerolite Johannesburg and cover all the main areas. 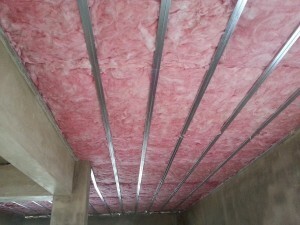 Our team members have years worth of experience installing insulation products in South Africa. When installing Aerolite Johannesburg, make sure to use the 135mm. Its the recommended thickness for that climatic region. Getting Aerolite Pretoria installed is also easy. Our experienced teams cover the Pretoria region as well. The 135mm is also the recommended thickness for our customers wanting to install Aerolite Pretoria. Now that you’ve decided to buy insulation, you need a good aerolite installer to install it for you. I’m sure you already know that the price will depend on the amount of space that needs to be covered. Compare prices before you make a commitment to hire someone. Don’t assume the cheapest price is the best option. This may come with risks when it comes to getting your installation done. Only work with an installer that is covered by insurance in case of any damage. Contact one of our specialists in Johannesburg, Pretoria, Durban or Western Cape. Find out more information about getting your home insulated today. Find an installation specialist that has many years of experience and also check references for other jobs that were done. This can tell you a lot about how they manage service and how good they are. If you find anything negative, move on. Get a quote first in writing to protect yourself from unexpected charges later. A little bit of homework can save you from a severe headache later on after the job is complete. Time is money and energy so taking a little bit of time now will save you time in the long run. Contact one of our specialists in Johannesburg, Pretoria, Durban or Western Cape. Find out more information about getting your home insulated with aerolite today.